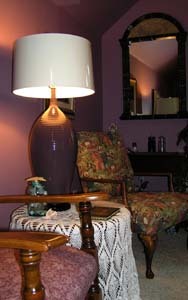 Located in Anne's House of Dreams, Green Gables has two bedrooms, both with wood floors and area rugs. 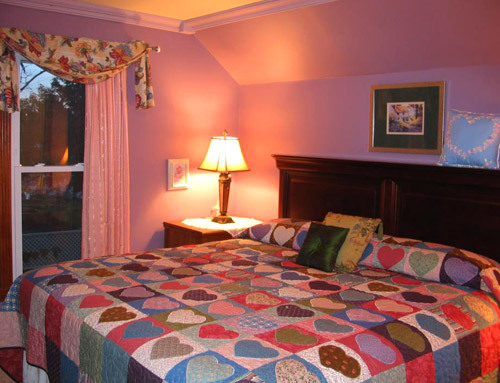 The master suite has a plush, pillow-topped, king size bed with a handmade quilt with appliquéd hearts and antique buttons, a comfortable seating area, a spacious closet, and a TV/DVD/VCR. 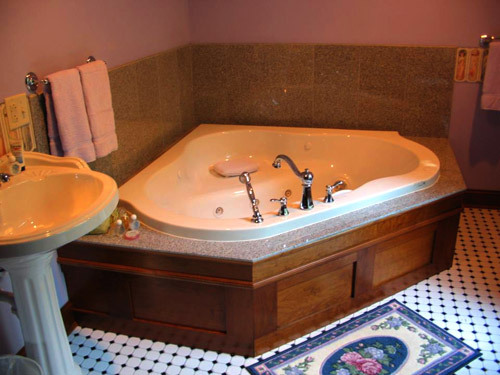 The spacious second floor bathroom has a pedestal sink, and a large, heart-shaped, corner whirlpool for two with a hand held shower sprayer. The whirlpool is trimmed with granite, with a black and white tiled floor. Circa 1891 house next door to the Blue Belle Inn with king size bed, and two twin beds in a second bedroom, private whirlpool for two, balcony, private entrance.